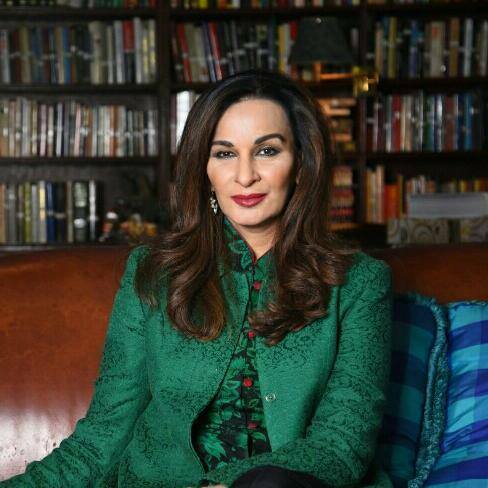 Beijing, March 19, 2019: Speaking at the First Meeting of the China Pakistan Economic Corridor, Political Parties Joint Consultation Mechanism today, Vice President PPP, Senator Sherry Rehman said, “There is complete unanimity in Pakistan on the CPEC opportunity”, as all the political parties of Pakistan unanimously adopted the Beijing Declaration, today. She was leading a delegation of other senior PPP members. Underlining the significance of CPEC for Pakistan the Senator said, “Political parties are taking responsibility for Pakistan’s future and making sure that CPEC, as an opportunity, reaches its full potential. It is a platform that goes beyond parties and provinces. It guarantees Pakistan’s entry into the 21st century as a viable economy that is able to provide its citizens basic economic benefits”. The former Leader of Opposition said that her party truly appreciates the opportunity to join the multi-party consultation on CPEC and that such exchanges were beneficial for everyone. She then invited the hosts to visit Pakistan and all provinces including Sindh for enhanced communication and relationship. “I would like to make three points; we are here to take stock of our progress on realizing joint goals on CPEC. One is the creation of consensus, something we always talk about; the second is the building of clarity on joint roles as we proceed together; and third is the importance and power of communication both internally and externally about how important and transformational CPEC can be for the people of Pakistan and for the future of the region’s peace, stability and our joint progress,” Rehman said. She expressed that she hopes China would see the PPP as key stakeholders in making CPEC work for the people of Pakistan as it is a party that is invested totally in the multisectoral outcome of jobs, growth, energy provision and regional stability that CPEC brings. Highlighting the importance of working alongside China the Senator stated, “Learning from China will be crucial to deepening the skill base of our people, one million of which enter the job market every year. China boasts a digital economy of $3.8 billion. We will be using the digital platforms for connectivity, jobs, development, marketing and communication”.